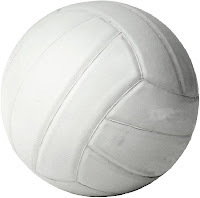 Well volleyball season will be coming to a close next week. Chardie's team improved tremendously this year although it was not enough to take them to the play-offs. Brie's team is undefeated as of this week. Next Wednesday is the final game of the season and that will determine who the District Champions will be. We are facing an equally talented team so it's any one's game. I won't lie, my nerves are bad right now! Congrats to the girls for a successful season! It will be nice to have them back around the house more, and like you said, nice that they'll be able to focus on family and school. But I know they will miss it, aww! I hope Chase and his brother are one day involved in something so active and healthy and fun. I mean, obviously their dad would LOVE for them to play a sport, but it's really about if they enjoy it and have an inclination for it. We can't force them.